Venture Capital Marketing for companies like Pappas Ventures is one of our expertise at Generate Design. We understand that venture capitalists are known to take calculated risk and want to team up and invest in the best.The bold, striking colors we implemented in this ad are reflective of the innovative work that Pappas Ventures puts into the life sciences. The dynamic focal photograph creates drama and contrast on the page and guides a readers eyes to the mission statement and information that Pappas Ventures provided. 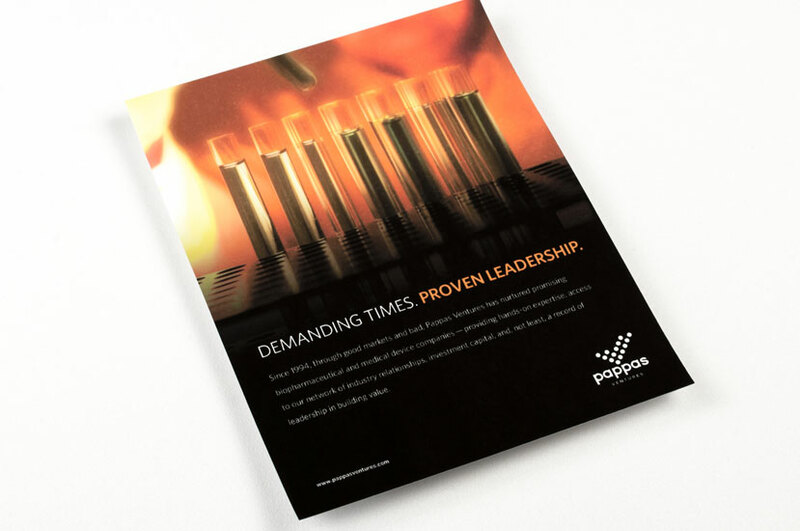 We wanted this ad to be impactful and strong without straying from Pappas Ventures’ brand and objectives.